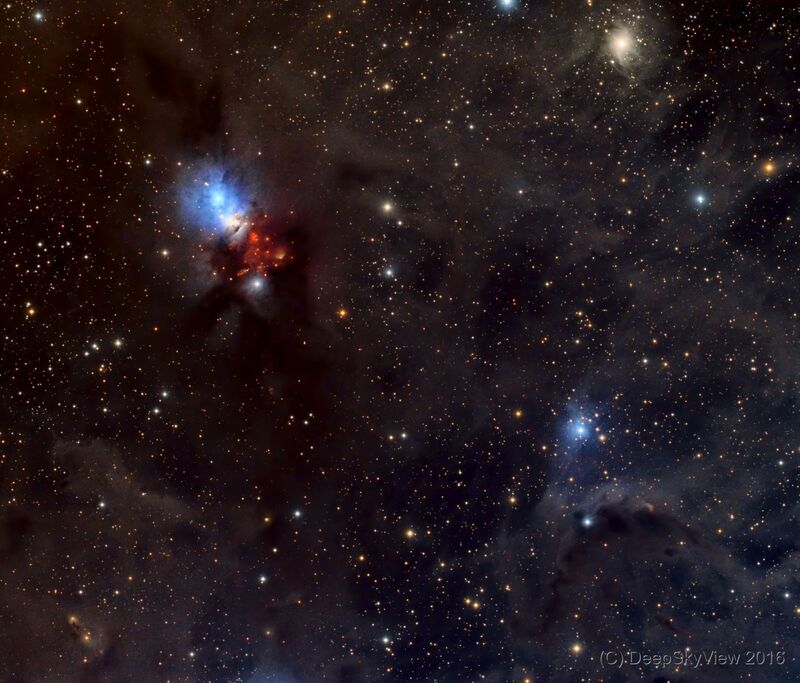 A dramatic scenery of structures and colors – NGC 1333 and its surroundings. This is a star-forming region, about 1000 light-years from Earth in the constellation Perseus, home of hundreds of newly born stars. NGC 1333 is the blue reflection nebula, surrounded by dusty regions with contrasting red emissions from Herbig-Haro objects, jets and glowing gas escaping from recently formed stars. This LRGB image is composed from 16 x 900 sec subs for R, G and B plus 28 x 900 sec of luminance data taken at the Deep Sky West Observatory.